Any type of vehicle can be stored in self storage. This can free up space in your garage or driveway and provide the ideal solution for a vehicle or boat that you don’t need year-round. Along with your car, RV, and boat, you can also conveniently store your motorcycle, ATV, jet ski, snowmobile, bike, lawnmower, and any other modes of transportation. While it can help protect your vehicle year-round, self storage solutions are especially ideal during the winter, when the weather is particularly harsh on your vehicle. Storing your vehicle is one of the best things you can do for it. If you aren’t using your boat, RV, or car often, storing it will keep it safe and secure at all times. With state of the art security and individual door alarms on each unit, you can take comfort knowing that your items are in good hands around the clock in the well-lit storage facilities. Indoor units offer protection from the elements and can save you money on parking every month. By protecting your vehicle from the harsh weather elements, you can reduce rust and corrosion, and get more use out of your investment. Boat storage is ideal because leaving your boat in an icy environment can quickly damage it, making it impossible to use (you may even miss out on part of the boating season). Climate controlled storage may be preferred for vehicles like collector cars, which can benefit from the secured, climate-controlled environment. With convenient access to your unit 24/7, you can reach your car, RV, or boat whenever you want to take it for a spin. You can also use storage for work vehicles that you use frequently. Parking closer to the exit will provide convenient access whenever you need your vehicle. You can store whatever you need to, for as long as you need to. With no long-term contract to worry about, you can choose the right short- or long-term storage solution to meet your personal or business needs. An RV or trailer may be susceptible to more problems than a traditional vehicle. Even when it is not in use, it can serve as home to rodents and insects, among other problems. Storing it will ensure your RV is protected from engine or exterior damage. It can also help reduce deterioration of your RV, keeping it looking newer for longer. If your RV or trailer simply won’t fit at home, you can use storage as the additional parking you need. Just make sure to leave a few packets of silica inside of your RV to absorb moisture, preserve the interior, and inhibit mold and mildew growth. Read our tips for preparing your vehicle for storage. You will most likely need a 10×20 or 10×30 storage unit to adequately fit your vehicle. You can also choose from alternative storage options, ranging from drive in units to regular parking spots. 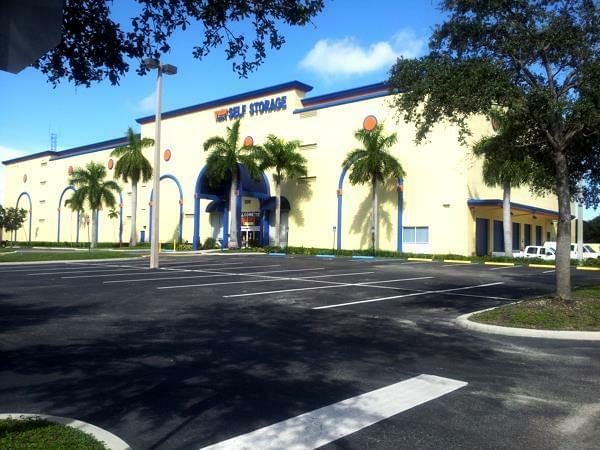 Contact Value Store It for more information or to reserve your storage unit today!